I think I became a blogger sometime in October 2004. That makes me a very old blogger. So I dig up the old archive and yes, I was officially a blogger on Oct 23, 2004. That means I am going to be a 13 years old blogger. I thought bloggers are weirdos who talk to themselves ‘coz they have no human friends to talk to and they are attention seekers. But heck, I lurve blogs and stalk blogs so might as well join the bunch of weirdos. Back then, little did I expect that there is something worse than blogs. Facebook. Instagram. Twitter. People like me purge lots of stuffs, free of charge. Well, not exactly free cos you sell yourself. Sort of. I don’t understand why people are still so negative to this thing call technology. Sitting down with a bunch recent, the people who didnt know who I am, what I do, babble on and on about how bad technology is. I sit there trying not to let my eyeballs rolled up completely and not foaming in the mouth. Come on, people, you can’t win this thing. Stop feeling so negative, talking like it is end of the world about technology. Your kids, your grandkids are all going to embrace it. So you either float away or you also embrace it and make the best of it. I was so tempted to say, Hey, you know…the Pope is on Facebook too. Didn’t Jesus asked us to fish in the deep end? But I just keep quiet, nod and smile and meh…I am a polite girl, I just grin through it. I live in the social media world. 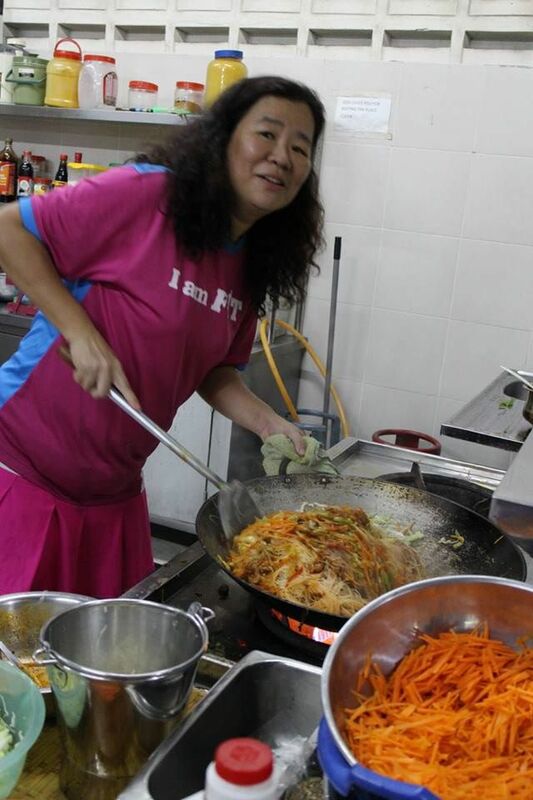 People knows what I cook today, they know what’s in my stomach, whether it is chicken rice or char koay teow, they know I go to church or not, they know whom I had been mixing with, they think they know everything. Well, not exactly. My old buddies do not call me a Propa(ganda) Queen for nothing. Sometimes, things are real. Like this one Street Ride I pulled together last week. It was a trip down memory lane. I had been doing this homeless people street walk a few times. Sometimes as a cook, sometimes to minister and sometimes just moving along with the group. This time, it is to bring awareness. Cooking for 100 homeless is no joke but hey, God send me nice strong men to help me stir. So Hallelujah to that. Today, I got a photo that I love so much. 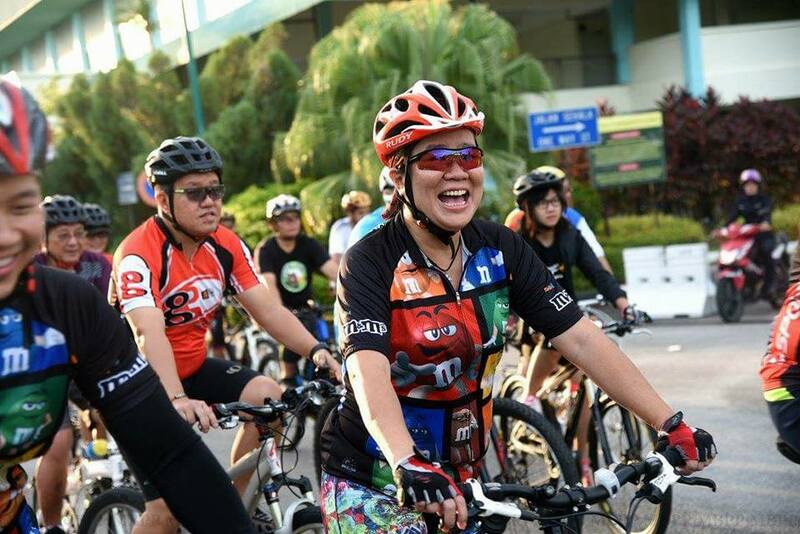 Taken by the council’s pixman of cyclists being flagged off. I just so love the way I look like I am so excited likedat. Well, I ooze confidence. But guess what, actually I was kicking and move along, not daring to start putting my feet on the pedals. Too many people and I was scared of falling down. But would anyone know that? So yeah, life is like that. Look the part, smile and the world won’t know what you are feeling.